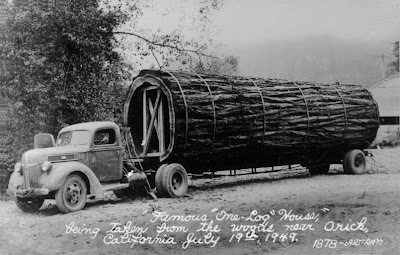 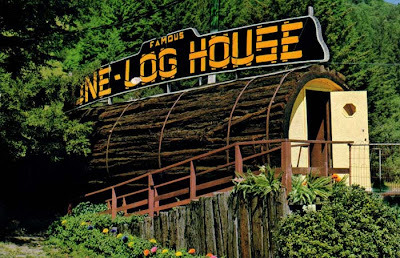 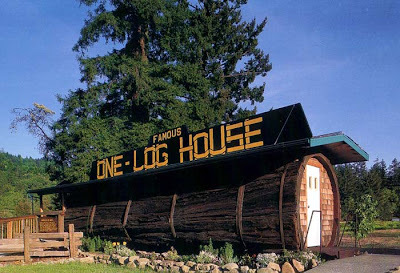 The Famous One Log House is one on Northern California attractions. 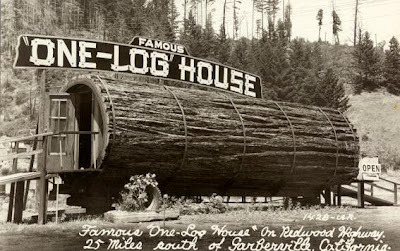 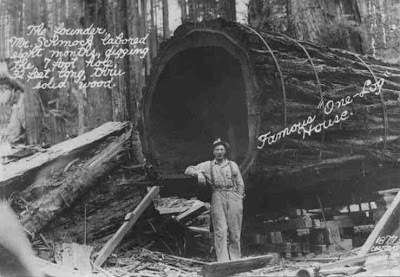 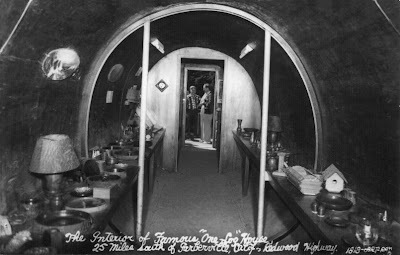 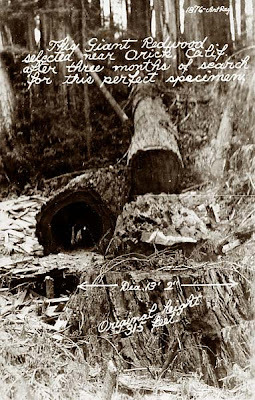 It was hollowed out in 1946 from a single log that came from a 2100 year old redwood tree. 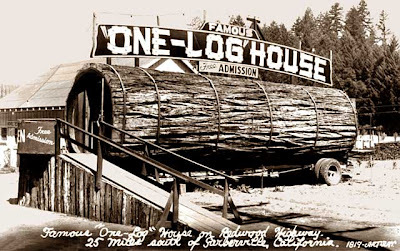 The log weighed 42 tons and it took two men 8 months of hard work to hollow out a room 7 feet high (2 m) and 32 feet long (10 m). 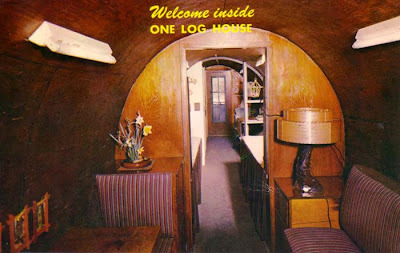 Even though a house is just a tourist attraction, it is perfectly habitable and contains a kitchen, bedroom, living room, and dining room.